That would be a decrease in freezing point, from -1.696ºC to -1.776ºC. #600, Very good info Hans, thanks.. There is obviously less old ice loaded with fresh water, the salinity balance is trending towards an open Arctic ocean. and a stable heat source were always present. “The thickness of Arctic sea ice “plummeted” last winter, thinning by as much as 49 centimetres (1.6ft) in some regions, satellite data has revealed. A study by UK researchers showed that the ice thickness had been fairly constant for the previous five winters. 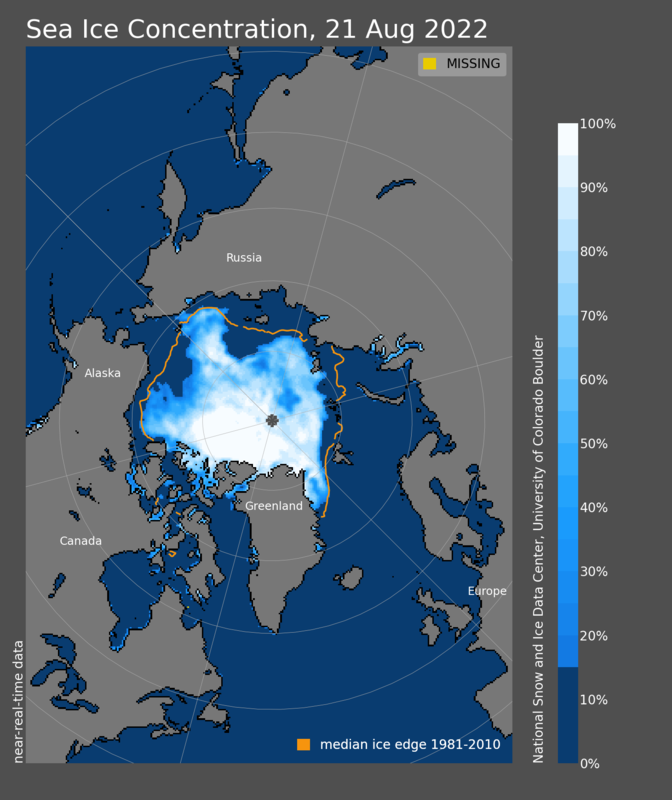 The team from University College London added that the results provided the first definitive proof that the overall volume of Arctic ice was decreasing. The findings have been published in the journal Geophysical Research Letters. CAPTCHA says “and Broiled”. Spooky. Really fascinating stuff, too bad we don’t have preceding years to compare this data with. August shortwave went down significantly, yet the great bulk of the melt of 08 started about mid august. I have some extensive data which shows a strong Atmospheric warming signal, which agrees with the trust of the reporting of thinner ice, an overall continuous warmer atmosphere must result in thinner ice year round. As I read the CBC story from February, I really can’t tell if the thickness increase mentioned is local or more widespread (the only geographical reference is \some areas\), nor what the timeline for the comparison is. So it’s hard to say whether or not there is a real conflict between the two stories. Funny the comment about the last 30 days bieng warm in the Arctic. 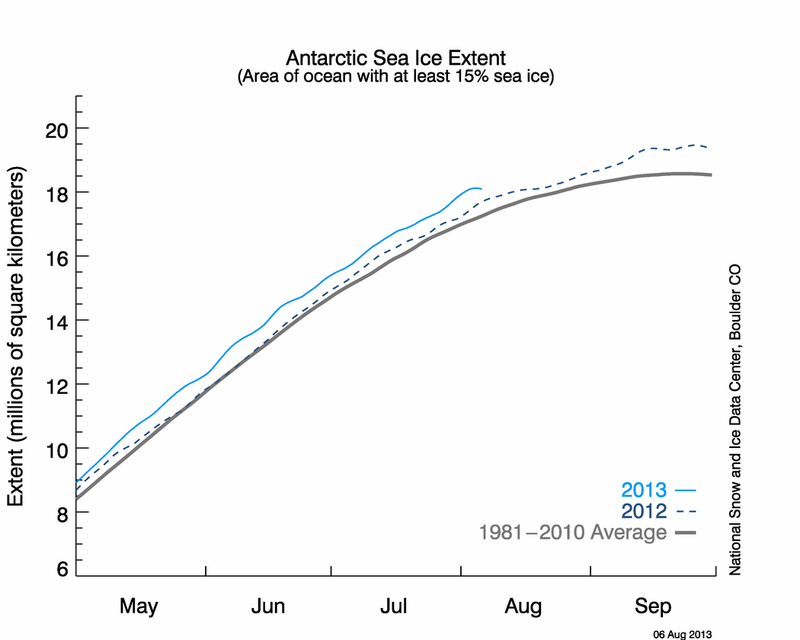 How come the ice cap is reforming faster than it did last year? Because there was less ice at minimum last year? It’s not an “ice cap” — it’s sea ice. #608. The ice was scattered over a wider area at the onset of freezing. Winds over the entire melting season favored its dispersal rather than compression as of last year. From Clarence above , read details and caveat in #491, this model shows as much volume if not more than last year during peak ice moment. It is likely not as researched as as with the two reports quoted lately. But I am glad we are getting any volume data rather than none. Its probably a work in progress, there is no doubt about extensive melting, but exact details are hard to come by. I noticed last winter sea ice cover in the Barents Sea was below average, and is below average now. Does this mean that the Gulf Stream could be strengthening? And you get what you got…. If you mention the Gulf Stream, would you be kind enough to point some evidence, like Hank would write…..
#613 I was just speculating, so no evidence, and no idea where to gain any, hence the post. I just thought that with the warmer tropical seas we keep reading about the Gulf Stream might gain some extra oomph. With the retreat in the Barents maximum it seemed there might be a case for adding 2 and 2 together. You experts can tell me if it makes 4. Look for the 3rd line down in the egg code, find “1.” which is Medium first year ice 70-120 cm. There are plenty in 96 at the same date almost in all regions. Go back to 2008, there are plenty 1, 7, 8 and 9’s 0-10, 30-70 cm ice hardly any “1.”. The difference is amazing, also considering the lack of multi-year ice, a scarcity in December 2008. The packs are so few, scattered and small they are hardly reported. The real meaning is seen by those who travel on the ice, no multiyear ice packs makes traveling way easier, its a tactile sense, warmer temperatures are reflected in mirror like thinner ice…. If there is anything which proves warmer air, its in the ice over the entire Arctic. Its climate not in numbers or words, its climate change by example there is hardly a debate here about this astounding change. There is no need for charts, averages and demonstrations, its here and present literally changing the seascape. I have sent these questions, concerning a curiosity, to Dr Chapman at CT.
Can you please explain a couple of things on the Cryosphere Today “Compare side-by-side images of Northern Hemisphere sea ice extent” product, please? Sekerob pointed out in the Antarctic thread that the Arctic is getting lively again. Is this still the most current thread available? But I suspect we’re seeing funny looking daily charts due to the long holiday weekend in the USA and the unreliability of daily numbers due to clouds and other problems in the data, rather than some natural event. Look again at the arctic chart. It’s not nearly so weird now (just changed in the last couple of hours). Watching over the past several days, it appeared, until 30 minutes ago, that the World was about to end. Don, ‘About the data’ — it takes time to determine a trend, especially in noisy data (and when everyone’s on a long holiday weekend, I bet). A heads-up that some poster at Slashdot has taken a recent issue with sea ice extent measurements from NSIDC and is trying to blow it up into a systemic, longterm problem with measurements. Prepare for freshly armed zombie hordes to come over the parapets. In reality the issue appears to affect perhaps three weeks of data. Unfortunately for the zombie hords, there are multiple collectors against which to soundboard the different products. How SIE/SIA of NSIDC compares looking at Arctic ROOS, Cryosphere Today, JAXA etc, gives me enough reference to know that NSIDC is doing okay, probably even near the highest number reporters on SIE and middle-ish for SIA. Long as there is consistent measuring, as what was mentioned on the bulletin at NSIDC, we’ve got good indicators where things are trending and all are telling the same… it’s going down, rapidly. Zombies there were, lobotomised from the Nurse Ratched clinic there will be. I don’t suppose there’s a chance the sensor just got /.ed? Saw this today and it’s perfectly logical. Meltponds on Sea Ice, and I suppose on Greenland glaciers too, but to lesser extend maybe, accelerate melting. There has been an increase in missing swathes showing up on CT’s comparison page (uses SSM/I) and NSIDC’s extent bounced around at the weekend. So while NSIDC have shut down for the moment Arctic ROOS and CT are carrying on without major problems. I got chucked off WUWT for having the temerity to say that describing it as the ‘sensor having a catastrophic failure’ was an exaggeration! I look at the graphs on the nsidc site from time to time, and noticed a couple unusual sudden ‘steps’ in the plotted arctic sea-ice data over the past while that looked spurious. I work with real-time ‘time series’ streamflow data, and when I see something similar i.e.- sudden spikes or flatlining in what is usually a smooth trend-line during a period when you don’t expect it, for example in the middle of winter in the sub-arctic, my first instinct is to suspect sensor malfunction. Considering the degree of world-wide focus on this topic (arctic sea ice) I really wonder why there isn’t more attention payed to quality control of the raw data sets. Even something as simple as automated rate-of-change filters that you can create in Excel. At any rate, I’m glad to see the error was caught and will be corrected soon. #619 Profoundly accurate statement by Gavin. It is a gift for an audience poor in science , this is why G. Will writes like this. Fuel for ignorance. A well thought figure, or apparently nerdy like chap, spews nonsense through medias which were invented by the vast scientific effort, which also gave climate science. It is the voice of anti-science, anti-reasoning condensed in a media package, rather a Public relations format, persons set free to distort at will (the pun is intended) as a means to promote a book, or a click, a media niche market similar to fake moon landings. on the subject vast, deep and disturbing. There is hope only with a huge education effort. Which requires empathy for the planet and its people especially for those who are in isolated locations. Not TV adds and silly props, rock solid education, immune to PR firms and lobbyists, human to human intellectual persuasion, on a higher level, rendering the dumb media market population and ratings much smaller. Hey Wayne. Caught your interview on Discovery Channel last night. Very interesting correlation between observed sun disc size-shape and ‘local’ atmospheric temperature. Looks like you’re on to something. Yesterday saw a news flash that parts of China had not had rain/precipitation for 110 days and the successful deployment of firing up iodide crystals to cause the clouds to rain out. Think to have seen references some months ago to Pacific conditions being responsible for this. From monitoring the Rutgers daily snow maps I’d say that the first half of the month has seen a mean of below average acreage of snow on the Northern Hemisphere. January was right on the anomaly line, drastically less than January 2008. Where there is no snow now, the albedo is not working to favor any deflection of energy back to space. #630, rando, sure I have been at it since 2000, any one with a little training can do this work. all with respect to comparable elevations of course. Speaking of which, big time expansions were recently measured in the High Arctic, again!!! Its like the movie Ground Hog day, there is no relenting, no sign of a deep freeze in the atmosphere, just a warming. #631 I’d like to point out that the stratospheric vortex vanished unusually early this year. perhaps rendering the Vortex, as it was a little more unstable, it eventually demolished itself, and ozone levels have been extremely high ever since . The winter of 07-08 was remarkably blue and cold in the Arctic, as opposed to grey and warmer in 08-09. This is not a coincidence, when the vortex was really strong a month ago, it got really cold pretty much everywhere, now that it is gone, the weather shows many observable different features, namely cold air periods persisting way shorter, replaced by longer bouts of very warm air. This could be the year the drain comes unclogged and a whole new surface regime must come into play. Perhaps the ice crammed up against Canada will get dragged along with the a stronger TransPolar Drift as the ice dam is removed. It’s going to be fast, in my opinion, especially with so many alternative drains which will open along with the Fram Straight. A couple of unusually warm years in a row ought to give us an ice-free September and October in the arctic. Other predictions? I think that this may help the cloud coverage until Arctic Ocean air gets too warm, if the high solstice sun has a chance to maintain itself over a wide region of the Arctic Ocean for a few weeks, the melt would be incredibly fast because the ice is already thin in many areas. Too bad we dont have model ice volume estimates readily available to confirm how bad it is at this point in time. Easy–in September the denialosphere will not be talking about sea ice extent. Interesting little article on the “official” start to the commercialization of the Arctic Ocean. daily, and judge cloud extent first before ripping up AGW theory as a get rich scheme for researchers. it is not surprising, and this does not mean that AGW theory is done for, or the Pole is cooling. 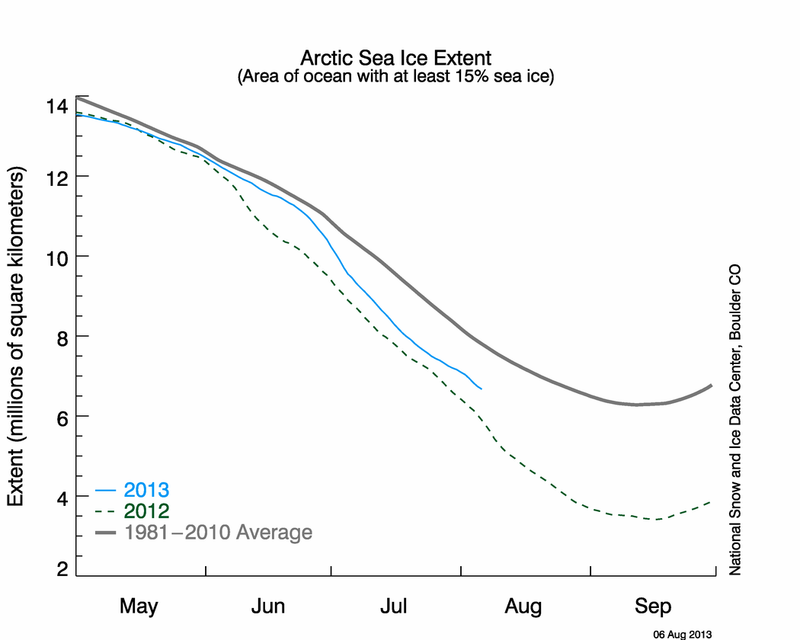 If the clouds continue a great overage of the Arctic Ocean and there is less ice extent than 2007………… yikes!